Energy Field and Rest in Peace make me pretty invulnerable right? When a card is put into your graveyard, sacrifice Energy Field. My favorite thing in here is Energy Field + Rest in Peace combo. Add Enlightened Tutor for redundancy and to make it a realistic goal. +1 for a very innovative deck! Love original brews like this. 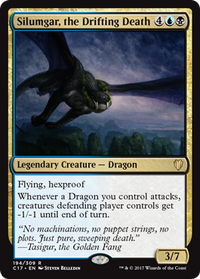 Bident of Thassa - It is in the Maybeboard but I'd highly recommend adding this to the main board. 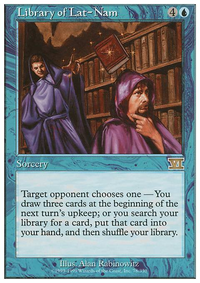 It fulfills the 2 things your deck wishes to do: 1) Forcing people to attack; 2) Card draw for you. Siren's Call - This is a hidden gem, which forces opponent's creatures to attack or face destruction. Perfect for a "Chaos theme" deck. 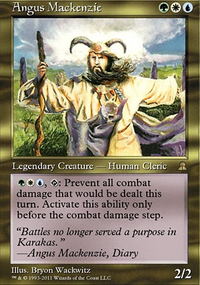 Combos well with Festival or Orim's Chant to create a single-sided board wipe. Feel free to stick this onto Isochron Scepter for repeated use! Oracle en-Vec - "Come at me you %@#$" Basically Taunt on a stick! Energy Field - Opponents attack each other, YOU WIN... Opponents attack you, you take no damage, draw a bunch of cards... and STILL WIN! Thunderstaff - Lessen the pain is always good. Ability to grant situational buff to your creatures is a plus here. Angel's Grace - When all else fails... call upon the Angels to grant you sanctuary and protection! 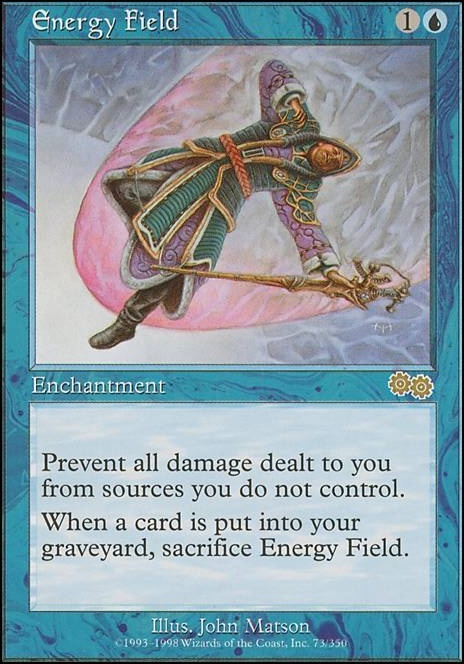 Isochron Scepter - You're running a lot of damage prevention instants with CMC 2 or less, so the Scepter is definitely worth a slot in the deck! Cloudius on A Timmy Control Deck? +1 For one of the most refreshing and innovative decks I've come across on T/O. It does take awhile to comprehend the set up and your game plan and I'm sure we've only grasp the tip of an iceberg, the mammoth mechanics and thought process that goes into conceptualizing this deck and play testing it. Have you consider adding Muldrotha, the Gravetide as a means to recur your key combo pieces and as redundancy just in case Ravos, Soultender and Havengul Lich get hated out. 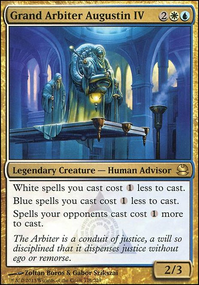 1) Grand Abolisher and City of Solitude - Act as a redundancy for Teferi, Mage of Zhalfir so you've a captive audience who can only watch you combo off without interrupting. City is a double edge sword though so probably only drop this the turn you want to combo off. 2) Energy Field - Hide behind this shield until your combo pieces are assembled. 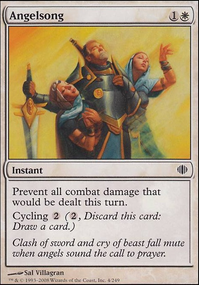 At worst, it helps eat up a removal which was original intended for your other combo pieces. 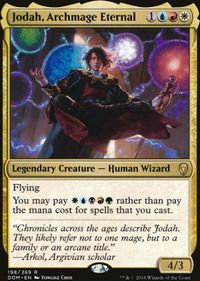 You only have 17 Instants/Sorceries out of 100 cards so casting most of your cards (Permanents) won't blow this up. I'm sure you've given much more thoughts for this deck as compared to me so my humble suggestions for your consideration. Hope this helps. Cheers! You're already running Rest in Peace , you could consider running Web of Inertia and Energy Field so that you can never be attacked or take damage. Welcome new members! Wish I had time to help with decklists, take my upvotes as compensation! SynergyBuild some great tech in there, some I have seen but many I haven't! Love the Ertai, the Corrupted combos... he's great with stuff like Launch and Spirit Loop . I keep a list of interesting cards that I add to, so I'll definitely be adding some of those! You might like Solitary Confinement when combined with Necropotence + other strong draw engines.